International Space Station (ISS) partners are making progress, but are still waiting for a complete deorbit plan for the orbital outpost, to be used in the event of contingency event or during its eventual End Of Life (EOL) scenario. The plan is being led by Roscosmos, which is expected to call for at least two Progress vehicles to push the Station out of orbit for a controlled destructive re-entry. Although the effort is moving forward, NASA’s safety advisory panel – a long time advocate of having an “ISS Deorbit Strategy and Contingency Action Plan” in place – noted the finalizing of the evaluations are making progress, but are proceeding slower than desired. The ISS continues to be a jewel in humanity’s space-faring crown and has many years of operational lifetime remaining. Currently, the expected lifetime will see it continue to be fully utilized by the ISS partners until around 2028, aided by additional commercial entities take advantage of its capabilities. However, it will – one day – come to the end of its life, be it via old age, when it suffers enough critical breakdowns that make it impossible to host humans, or via a major accident resulting in contingency plans being put into effect. The latter scenario is likely to be the main reason the Aerospace Safety Advisory Panel (ASAP) members have been pressing NASA to come up with a plan that would see the Station safely deorbited – a challenge in itself as it will be the largest “manmade” object to be sent to a destructive re-entry. The nearest comparison to this event was the controlled re-entry of the MIR space station in 2001. ISS partners – NASA and Roscosmos – conducted a bilateral Technical Interchange Meeting (TIM) in 2016 to refine procedures relating to the disposal of the Station at the end of its service life, or in the event of an emergency. The deorbit burn capability was expected to be available in 2017. This called for multiple docked vehicles firing in unison to push the Station to its fiery demise, revolving around a 2013 plan referenced by former ISS Program manager Mike Suffredini to the ASAP members – noting the contingency scenario would require a fast decision and approval to deorbit a crippled Station, starting a 180 day window to set the stage for the End Of Life (EOL) events. That initial plan called for a period of 180 days to allow the Station to decay its path towards the deorbit altitude. During this period, Russia would launch two Russian Progress vehicles to autonomously transfer propellant to the Service Module thrusters and to prepare themselves to provide additional deorbit propulsion. 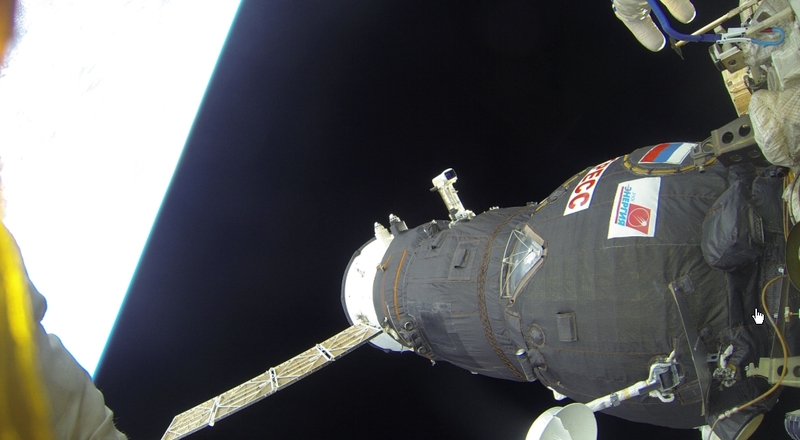 Later plans appeared to call for the addition of a Soyuz also helping with the deorbit burns. With the ASAP pushing for a refined plan, both the US and Russian space agencies created a co-written “Strategy Document” and a “Contingency Action Plan”, with the goal of signing a multilateral agreement on the EOL strategy. The reason for the plan requiring additional work relates to estimating the footprint size of the debris field, which will be better known per the final burn Delta-v parameters. The aim is to ‘minimalize’ the potential of surviving debris impacting populated areas. Additional work was also cited per the requirement on the attitude thrust control estimates, given attitude control will be a key player in the final moments of the ISS’ life. “With regard to the ISS Deorbit Strategy and Contingency Action Plan, NASA has received and is continuing to assess information from Roscosmos and is requesting International Partner concurrence with existing documentation through the Cosmos Change Request review system,” noted the ASAP in the annual report that was published this week. The ASAP panel report added the current status of open work includes: Functional Cargo Block propellant maintenance at vacuum; software updates to enable reentry and burn functionality; ISS guidance, navigation, and control studies; ISS survivability at vacuum; and development of draft operations products for regular and contingency deorbit. “Although progress has been slower than desired, the effort is definitely moving forward, and the Panel is encouraged by the progress being made,” the panel added. Providing the ISS doesn’t suffer from a critical event requiring a premature deorbit, the ASAP also spoke about the nominal timeline of operation for the Station. 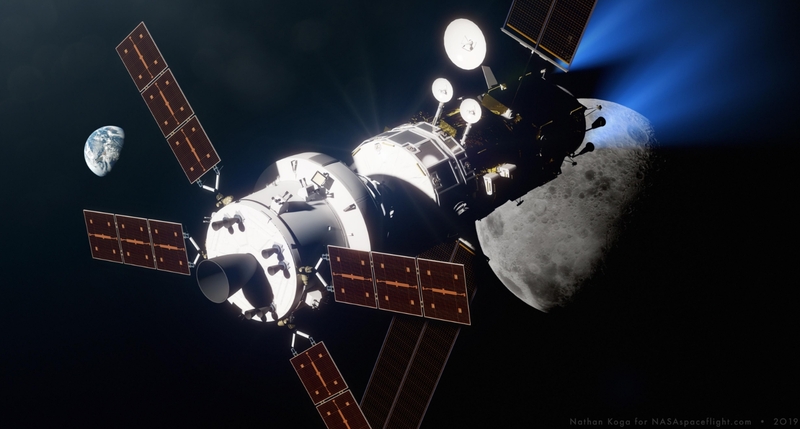 This will be a key factor in the Station’s longevity, not least from a funding standpoint, but also in allowing the orbital capability to continue its related role per NASA’s goal of moving more resources into deep space exploration – including another – smaller – “station” via the “Lunar Gateway” proposal. “Recognizing that there are many different viewpoints on what commercialization of LEO should look like, the Panel sees a continuing need for a NASA presence in LEO to conduct operations that would reduce the risk for future space exploration. The maintenance of appropriate expertise will also be key,” added the panel. “Turning LEO over to the commercial sector would seem to be a reasonable next step, allowing NASA to focus on deep-space exploration. This approach would also provide a marketplace for commercial entities to sell services. The Moon is increasingly becoming the focal point for NASA’s human missions beyond Low Earth Orbit, both via the Gateway (Lunar Orbital Platform – Gateway” (LOP-G)) in lunar orbit and the potential of a lunar base facilitated by the additional efforts to add commercial lunar landers into the forward plan.